Reflecting the changing nature of Irish society, Dedalus Press is pleased to announce a call for submissions for WRITING HOME, an anthology of poems by ‘new Irish’ poets, to be edited by Chiamaka Enyi-Amadi and Pat Boran and scheduled for publication by Dedalus Press in Autumn 2019. Poets from the ‘new Irish communities’, the ‘hyphenated Irish’, the Irish of mixed cultural, linguistic or ethnic origins, all are very warmly invited to submit … We particularly welcome poems (in English or in English translation) that record the changing nature of Irish society and explore some of the differences between as well as the similarities among those who now call Ireland home. Identity, belonging, ownership, loss, culture and, of course, the complex subject of ‘home’ itself … These are just some of the broad subjects we invite contributors to consider in an anthology that seeks to reassert the importance of poetry in the ongoing discussion about who we are and what we are capable of becoming. Contributors (who must be over 18 years of age) are invited to send up to 10 pages of poetry for consideration. Submissions for WRITING HOME should be sent as .doc, .docx or .rtf documents only via Submittable, the free online submissions manager (see link below). There is no charge or fee for submissions, and poets selected for publication will receive a payment for their work. The deadline for receipt of submissions is 30 April 2019. CHIAMAKA ENYI-AMADI is a 21-year-old communications officer and content creator. She was born in Lagos, Nigeria and grew up in Dublin, Ireland. A recent honors graduate of University College Dublin, her work specializes in creative writing, copy writing and editing/proofreading. She has edited and contributed to Otwo magazine for The University Observer (University College Dublin). Her work has been published in various magazines both online and in print. She has performed in festivals, cultural events and workshops around Ireland, and has worked with various arts organisations and publishing agencies. Her writing and videos are heavily saturated with themes of shifting and marginal identities, cultural diversity, bodily autonomy and self care. She aims to promote women’s rights and dignities, positive mental health and the importance of creative expression. Submittable is an online system (entirely free for those submitting) which greatly simplifies the process for both contributors and editors. It allows contributors to send their poems for consideration without incurring postage or other costs. And it allows editors and publishers to more easily manage what can be a complex and time-consuming task. To submit poems for consideration to WRITING HOME’, prospective contributors should click on the button below and follow the instructions. (They will be asked to complete a short form, to add a biographical / background note (in case of being selected for publication) and then to upload their poetry submission in .doc, .docx or .rtf format. Reading of submissions will take place over the following months with poets selected for inclusion in the anthology being contacted by 01 June and invited to review their submissions and biographical notes before publication. Selected poets will receive a fee for their work as well as a copy of the anthology, and Dedalus Press will organise launch and reading events at which contributors will be invited to participate. We see this anthology as an opportunity not just to recognise but to celebrate the extraordinary vitality and energy of poetry on this island, wherever its origins. NB When smaking a submission on the Dedalus press Submittable Page, be sure to choose WRITING HOME if there is more than one category or project currently open for submissions. Thank you for your interest. (Please feel free to spread the word about this exciting anthology project.) We very much look forward to reading your submissions. Good luck! 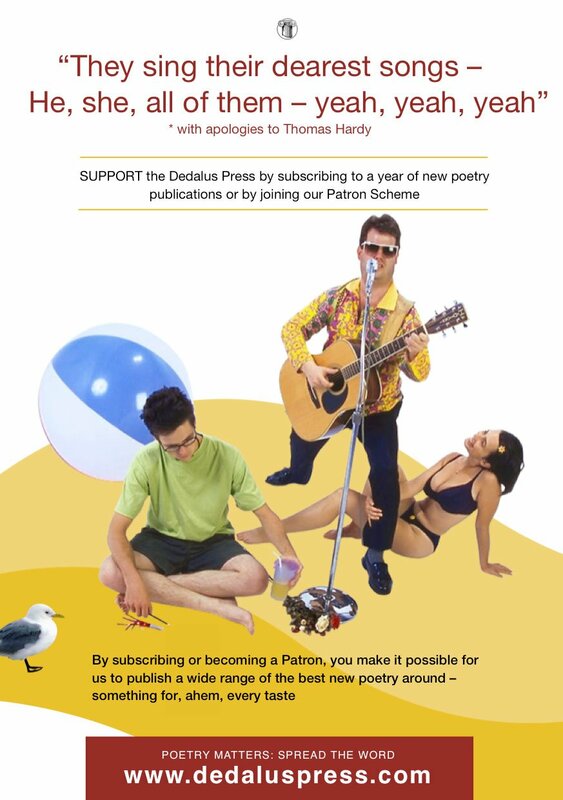 Become a subscriber or Patron and support us in our mission to publish the best in contemporary poetry from Ireland. Poetry Matters: Spread the Word. 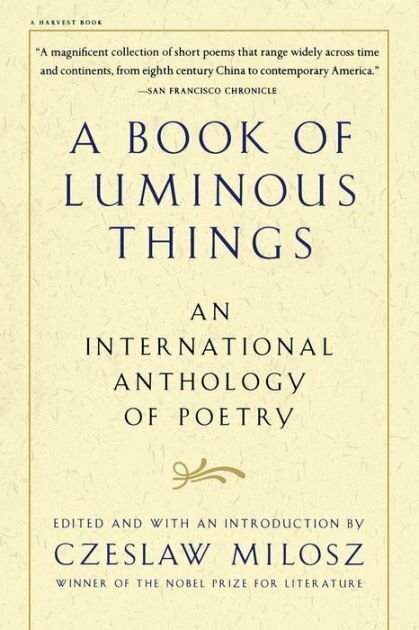 A Book of Luminous Things, Czeslaw Milosz’s anthology of international poetry, is one of my favourite books of poems. Inspiring in content, it succeeds as a collection of short poems personally chosen by Milosz, that range across time and continents, each introduced with a short, insightful comment by this master poet. The book begins with a brilliant introduction. Milosz quotes Roethke, who spoke of ‘that dark world where gods have lost their way.’ This line sets Milosz off wondering if poetry can find the cures that science, theology and philosophy have ultimately failed to provide. Whether or not you agree with the view posed in this question, I have always found it uplifting that the poet’s conclusion is a resounding yes. Since poetry deals with the singular, not the general, it cannot – if it is good poetry – look at things of this earth other than as colourful, variegated, and exciting, and so, it cannot reduce life, with all its pain, horror, suffering and ecstasy, to a unified tonality of boredom or complaint. By necessity poetry is therefore on the side of being and against nothingness. This is a life-affirming book and appropriately starts with a section titled ‘Epiphany,’ which celebrates through poetry the privilege of the moment. There are the epiphanies of landscape which Czeslaw directs us to in the Japanese haiku – the opening samples both tiny flashes of brilliance. Translation is important in this anthology and many of the poems chosen are translated jointly by Czeslaw Milosz and his friend and co-translator of his own poetry, the poet Robert Hass. Other translators include the poets Kenneth Rexroth and Jaan Kaplinski. There is a refreshing sense of ‘now’ to these translations. Can anything peculiar happen when a man walks down a street and kicks a can? In their translation of Jean Follain’s poem ‘Music of Spheres,’ Hass and Milosz capture a moment which is simultaneously ordinary and profound. under a sky studded with stars. Of these choices, Milosz writes that, ‘my anthology shows that I select mostly poems that express warm feelings.’ The word ‘mostly’ hits a chord for me, as there are poems in the book that have stayed with me precisely for their forbidding nature. ‘I Go Back to May 1937,’ is a poem by Sharon Olds which is cruel in its depiction of her parents standing in the late thirties ‘at the formal gates of their colleges.’ Olds wants to go up to them and warn them about the vile future that awaits them. Instead, her parents become like paper dolls, which she wants to bang together and say to them, ‘Do what you are going to do, and I will tell you about it.’ Startling for her heinous portrayal of her parents’ life, Olds’s poem is far from ‘warm’ but nonetheless is powerful, driven as it is by passion and the bitter honesty of a daughter. There’s a poem by Tadeusz Rozewicz too, which once encountered cannot be forgotten, filled as it is with a desperate nihilism (as a young man he fought as a soldier in a guerrilla unit against the Nazis) but one which is also driven by a deep empathy for the human condition. 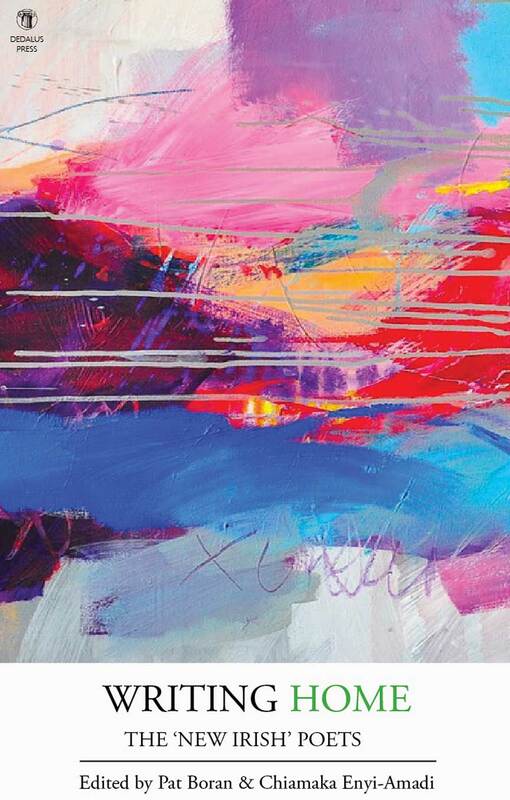 But the majority of poems in this anthology are joyful, celebrating what Milosz calls ‘things-moments,’ which the poets capture, preserve and have made eternal. It is to these moments that I turn to every morning. The sun’s up, coffee bubbles on the stove and on the kitchen table, my well-thumbed copy of A Book of Luminous Things, opens to a new enchantment.